Location Location Location !! 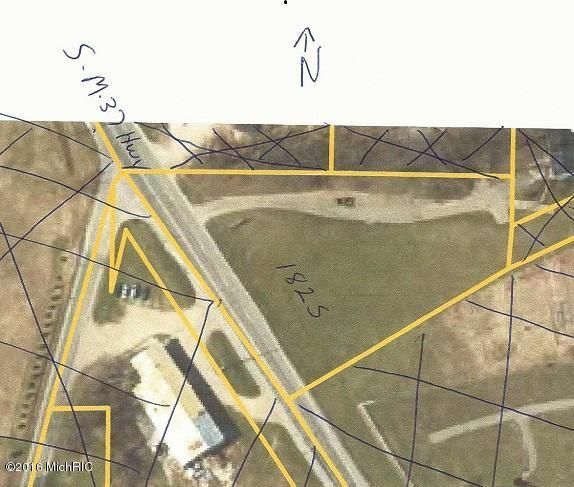 For Your New Business Address consideration.1.61 Acre General Commercial Building Lot With 237 +/- Ft of Busy South M-37 Highway Frontage. In The Township just Outside America's Greatest Small Town.Land Contract Terms Of $20,000 Downpayment Intrest rate of 5% per annum Monthly payment of $500 and payoff in 36 months. Listing courtesy of TradeMark Realty Inc.